The national unity government has, for the first time since coming to power, presented a budget with the unanimous support of the two main coalition partners: the UNP and the SLFP. When the budget was presented last year, the SLFP clamoured for various amendments at the eleventh hour, turning the whole process into a farce. The budget was amended as a result, many a time, and created a great deal of confusion among the public, over the government’s plans for the next financial year. This year, the President, the Prime Minister and the Finance Minister adopted a comprehensive plan to avoid such mishaps. Nearly two months before the budget was due to be presented, the SLFP appointed a committee to finalise the party’s proposals and liaise with the Finance Minister - this way both parties had enough time to hold discussions with each other and iron out differences in time for the budget speech on November 10. It is as a result of this understanding, that the SLFP is now defending some of the tough decisions made by the Finance Minister on behalf of the government. This positive approach by the SLFP has strengthened political stability – which was seen to be in short supply at several points, in the recent past. At the committee stage of the debate on the budget, the UNP held a special conference for all its MPs at the Shangri-La hotel, in Hambantota. The main objective of the conference was to discuss the party’s future course on the budget. “At the meeting, chaired by the Prime Minister, the party MPs discussed their views on the budget and the messages that need to be conveyed to our voters. There is no doubt that the budget will be passed in Parliament with an overwhelming majority,” Law and Order and Southern Development Minister Sagala Ratnayaka, who attended the conference, told the Daily News. “We also discussed ways of engaging with the debate and the strategies our MPs should adopt,” he said, adding that it was key for the UNP, the biggest party in Parliament at the moment, to have a strong presence during the committee stage debate. Aside from debating the budget, the party MPs also discussed several other matters concerning national politics. What is clear at this point, is that the government has focused its attention on introducing sweeping reforms to the public sector, which, over the past decades, has become a serious burden to the country’s economy. No meaningful measures have been taken over the last 11 years to effectively manage the public sector and state owned enterprises that are the backbone of the country’s administration. Thousands of political stooges and under-skilled workers were dumped into the public sector milieu for short-term political gain, reducing many of the state-sector institutions to mere white elephants. These moves were cloaked in political rhetoric - such as the phrase ‘strengthening the state sector,’ which made little sense to anyone looking at it from an economic standpoint. ‘It is common knowledge that Key Performance Indicators or KPIs in management parlance had been utilized positively in some countries to access and measure the performances of public sector institutions and also employees. 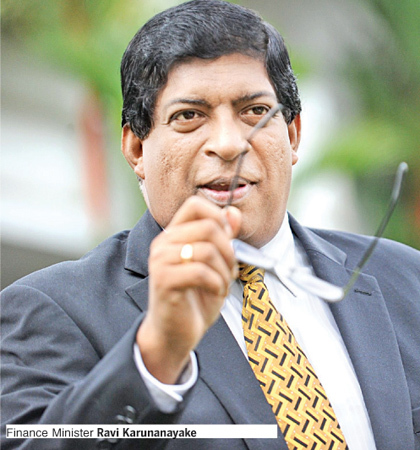 We would explore the possibilities of introducing KPIs to at least a few of the important public sector institutions,’ Finance Minister Ravi Karunanayake said. The Finance Minister’s decision to include KPIs in the budget showed that the government was ready to fast-track the process it first made mention of in January this year. The Ministry of Policy and Planning, headed by the Prime Minister, issued a directive to state-owned enterprises, requesting them to compile a list of KPIs to be presented to them by the end of April 2016. What must be understood however, is that state-owned bodies that have hitherto not operated in a goal-driven environment, will need a period of transition before adapting to the KPI culture. Speaking to the Daily News on Monday, the Finance Minister said a ‘Delivery Unit’ would also be set up to ensure public sector efficiency. A Delivery Unit works at the centre of the government to help the various ministries achieve previously defined outcomes and objectives. Using a host of tools, the Delivery Unit ensures government ‘delivery’ on promises by maintaining constant pressure on senior officers to improve delivery. 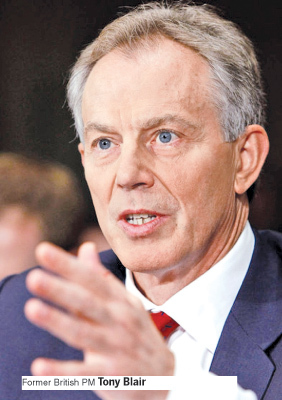 The United Kingdom was an early adopter of this ‘delivery machinery’, when in 2010, it set up a unit called the Prime Minister’s Delivery Unit (PMDU) to providing support to then Prime Minister Tony Blair, on public service delivery. The PMDU strengthened the British government’s capacity to deliver on key campaign priorities by monitoring their activities and reporting to the Prime Minister through the Head of the Civil Service (the Cabinet Secretary). The Prime Minister’s Chief Advisor on Delivery was first Professor Sir Michael Barber. He left in mid-2005 and was replaced by Ian Watmore, the Head of the Cabinet Office Delivery and Transformation Group, in January 2006. Following Ian Watmore’s departure in mid-2007, Ray Shostak CBE was made the Head. The Prime Minister’s Delivery Unit worked in partnership with the Treasury, the Cabinet Office and stakeholder departments to assess delivery and provide ‘performance management’ to reach the government’s top public priorities, including education, health, crime and transport. The PMDU was abolished by the UK government, in 2010, but replaced last year, with a new body called the Implementation Unit (IU), designed for a more advanced purpose: The Implementation Unit aids implementation across the government by supporting departmental capability and providing informed, hard-hitting advice on specific implementation issues to those at the top. It unifies government implementation with public service reform and observers are of the opinion that the Implementation Unit’s approach was more flexible than that of the Delivery Unit. “It is a novel approach to ensure public servants across the board performed as they should, and that ministers themselves were not exempt from review,” he added. Aside from the public sector, the government has indicated that it also has grand plans for State-Owned Enterprises. “Since taking office, our government has been proactive in improving the performance of these SOEs. And in fact, instead of becoming a drain on government coffers, they have contributed Rs. 65 billion in levies and dividends so far in 2016 - an increase of almost 50% over 2014,” the Finance Minister said, during his budget speech. Explaining the government’s ambitious plans to restructure the SOEs, Public Enterprise Development Deputy Minister Eran Wickramaratne told our sister paper, the Sunday Observer, that their performances would be improved to reach optimum level, with various structural changes. He said the ministry hoped to introduce a ‘Public Enterprise Act’ to Parliament soon. 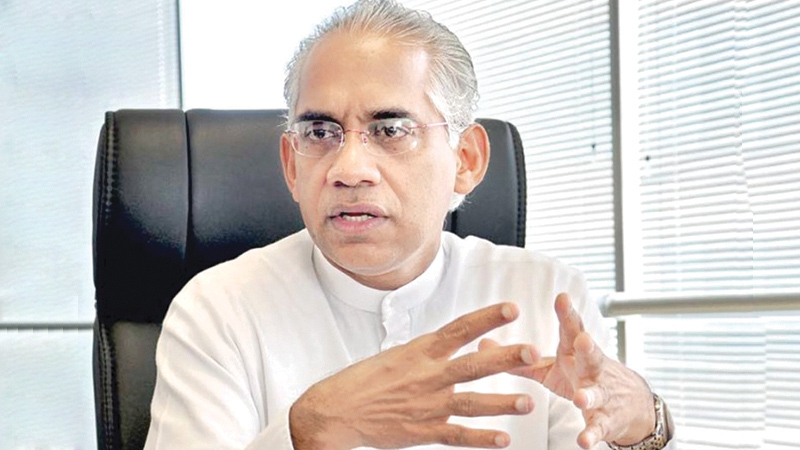 The Act – still in preliminary stages – will set up a ‘Public Enterprise Board’, tasked with overseeing the boards of individual State-owned enterprises, Wickramaratne said. “The Public Enterprises Board will, for one, ensure that fit people are placed at key positions in each of the enterprises,” he said, adding that the ministry’s primary goal is to de-politicize and commercialize state-owned enterprises. “The political and social objectives of a state-owned enterprise will be separated from the commercial. This will ensure that state-owned enterprises prioritize the commercial aspects of running the business. “State-owned enterprises will also soon have to show return-on-assets (ROA) and return-on-equity (ROE) like any commercial establishment. Funds for SOEs political or social objectives will no longer come out of a SOEs operational budget, but will instead need prior request. The SOE will be required to quantify their social objective and present it to the Finance Minister to be included in the national budget,” he said. This will prevent an SOE from making arbitrary concessions or decisions to subsidize, which loss is typically absorbed by the SOEs operation budget. Deputy Minister Wickramaratne expressed confidence that these measures would increase the operational efficiency of SOEs. While introducing structural and operational changes, the government must also remember to take action to curb corruption – a key problem hampering the efficiency of the state sector. The new government came to power with the promise of curbing corruption and taking action against wrongdoers of the past. Unfortunately, the battle against corruption has still not gone beyond a prolonged legal process – a concern for many civil society activists who supported the ruling alliance, last year. The President has also said, on several occasions, that law enforcement authorities are yet to take action against those who masterminded large-scale corruption cases, under the previous administration. Some of these cases of corruption involved billions of rupees of public money belonging to the state sector, and some of the individuals allegedly involved in these cases, still hold positions in the government as well as in the government service. Therefore, as inaction on large-scale cases of corruption makes the reforms process all the harder, it must be remembered that any form of comprehensive reforms must go hand in hand with transparency.